Various training courses on commercial awareness and contracts management and is one of the trainers / speakers on delay and delay analysis for the Dutch Construction Law Institute (IBR). Hugo-Frans has over 15 years’ experience in contract and claims management, with specific focus on dispute avoidance and resolution. This experience has been gained within a wide variety of projects and in both the Dutch and international construction markets. His experience includes working on petrochemical plants, oil and gas facilities (onshore and offshore), buildings, infrastructure, shipbuilding and marine engineering projects in the Netherlands, Belgium, Germany, United Kingdom, UAE, Iraq, Dutch Antilles, the USA, and Jamaica. Hugo-Frans has acted as party appointed expert witness as well as court and arbitral tribunal appointed expert, in proceedings before ICC, NAI, RvA and Dutch national courts. These appointments have covered both delay and quantum issues. He has given verbal evidence on multiple occasions, including being cross examined by opposing parties’ counsel. 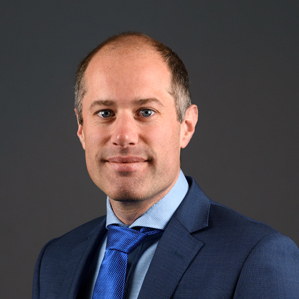 In addition to his expert witness appointments, Hugo-Frans has experience in acting as case manager for clients and directing lawyers, experts, and employees within the client organisation. He is also responsible for the Driver Group Netherlands and Germany operations. Hugo-Frans can communicate and give evidence in Dutch and English.